Kammersänger EIKE WILM SCHULTE was surrounded by music from the beginning as both parents were passionate choral singers. The young Schulte began serious piano studies aged 7, before a singing career crystalized, a decade later. At the age of 17, Schulte made his preparatory studies for the Cologne Music Conservatorium in Schloss Morsbroich in Leverkusen and in the Salzburg Mozarteum. At the time, the entrance age for the Cologne Conservatorium was 21 and so he required special permission to enter the Conservatorium as a nineteen year old. His studies lasted 4 years, in the final year of which he was engaged by General Manager Grisha Barfuss for a beginner’s company contract with the Deutsche Oper am Rhein, Düsseldorf’s renowned opera company. His first role in Düsseldorf was Sid in Benjamin Britten’s Albert Herring. In the German system, a young singer’s ambition is however to achieve a ‘Fach’-contract, a contract guaranteeing him a certain repertoire, with which he can develop his vocal potential. Schulte was offered such a contract two year later, with the opera company of the city of Bielefeld where, in the following three years, he was given the opportunity to perform almost all the principal roles of a lyric baritone’s standard repertoire, from Papageno to Germont. After a successful audition for the Hessen State Opera Company, he moved from Bielefeld to Wiesbaden where, under the guidance of Musical Directors, Heinz Wallberg and later Siegfried Köhler, he was able to expand his repertoire by a total of 75 additional roles. 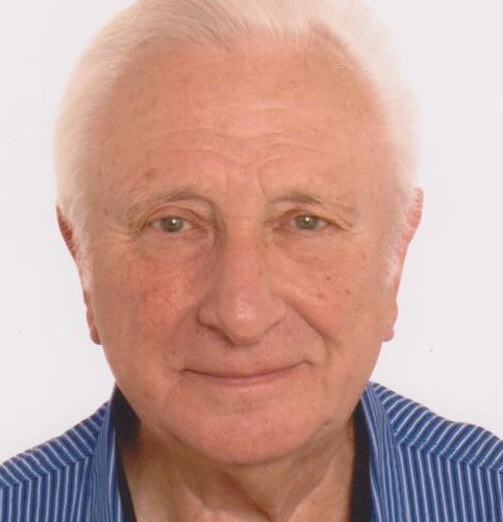 During his time as a company member in Wiesbaden (1973 – 1987) and again in Düsseldorf (1987 – 1989), he began his long freelance association with the leading German opera houses and orchestras, in Dresden, Hamburg, Berlin, Munich, Frankurt, Leipzig, Cologne and, in addition, was engaged by the Frankfurt Music Conservatorium to tutor young singers in Master Classes. In 1988, Schulte appeared for the first time at the Bayreuth Festival, beginning a 12-year association with Bayreuth, during which years he sang three major roles (Wolfram, Gunther and Heerrufer). Bayreuth was also his ticket to international renown. Offers flowed in from all over the world and he became a fully freelance singer, appearing in the great opera houses, festivals and concert halls of New York, London, Paris, Milan, Vienna, Chicago, San Francisco, Los Angeles, Cleveland, Geneva, Zürich, Tokyo, Rome, Palermo, Venice, Naples, Barcelona, Madrid, Seville, Santiago de Chile; Edinburgh, Salzburg, Bregenz, Baden-Baden, Florence, Spoleto, Taormina, Lucerne, Bergen, Tanglewood, Carnegie-Hall New York, Hong Kong, Qatar; Philadelphia, Boston, Montreal, Amsterdam, Birmingham, Osaka. Schulte has worked with 125 stage directors (including Götz Friedrich, Harry Kupfer, Thomas Langhoff, August Everding, Dieter Dorn, Peter Stein) and 75 conductors (including many of the ‘most famous of the day’). He has sung during a career of 60 years over 7,000 opera and concert performances at an annual average of 120 performances – a sheer colossal statistic. His concert repertoire embraces all the most important works and composers and he has performed a total of 129 different operatic roles (including 149 performances of his all-time favourite role, Beckmesser, ‘keiner besser!’) Since his debut as Alberich, at the Leipzig Opera in 2010, Eike Wilm Schulte has been much sought after for this role internationally. Other roles which continue to create worldwide demand for the artist include Telramund, Klingsor, Don Fernando and the Musiklehrer in Ariadne auf Naxos. His most recent engagements have been at the Munich State Opera singing Kothner (Die Meistersinger von Nürnberg) and Musiklehrer (Ariadne auf Naxos). Eike Wilm Schulte’s discography includes the complete recordings of “Lohengrin”, “Die Schweigsame Frau” and “Daphne” (Decca 2005), Mahler’s VIII. Symphony (EMI 1992), Beethoven’s IX. Symphony and Bruckner‘s 1st Mass (Deutsche Grammophon 2001). After World War II, the State of Hessen initially abandoned the distinguished title of Kammersänger and only re-introduced the title in 2010, simply in order to honour Wiesbaden’s most famous singer, Eike Wilm Schulte. The State had previously made him an honorary member of the Hessen State Theatre and completed its raft of possible honours with The Goethe Medal, the highest honour that the State of Hessen can confer, awarded in 2008. Kantate zum Tode Josef II.